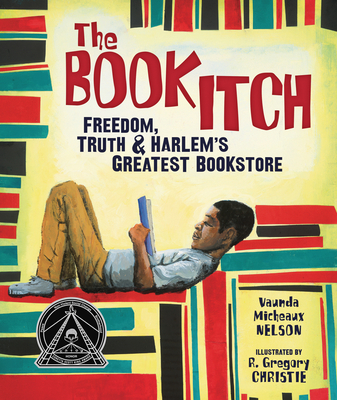 In the 1930s, Lewis's dad, Lewis Michaux Sr., had an itch he needed to scratch--a book itch. How to scratch it? He started a bookstore in Harlem and named it the National Memorial African Bookstore. And as far as Lewis Michaux Jr. could tell, his father's bookstore was one of a kind. People from all over came to visit the store, even famous people--Muhammad Ali, Malcolm X, and Langston Hughes, to name a few. In his father's bookstore people bought and read books, and they also learned from each other. People swapped and traded ideas and talked about how things could change. They came together here all because of his father's book itch. Read the story of how Lewis Michaux Sr. and his bookstore fostered new ideas and helped people stand up for what they believed in.